It always pleases us to see companies thinking outside the box when it comes to coming up with new and efficient ways to produce safe, clean drinking water. In this case, a company called Puralytics has developed a chemical-free solar powered water purification system that creates no waste stream. By combining the work of five photochemical processes at once, Puralytics water purification systems break down or remove contaminants from water by actually destroying contaminants rather than capturing them and creating a hazardous waste disposal problem. Photocatalytic Oxidation — Previously unobtainable, selected wavelengths of UV light generate unprecedented levels of hydroxyl radicals (OH-) without any chemical additives. Photocatalytic Reduction — Reduces toxic species such as mercury (Hg II), silver (Ag I), arsenic (As V, and chromium (Cr VI) to more readily adsorbed materials. Photolysis — Direct disassociation of contaminants by high intensity UV light, including atrazine, amoxicillin, DEET, and all estrogenic chemicals. Photoadsorption — The catalyst strongly adsorbs heavy metals including mercury, lead, selenium, and arsenic, permanganate, and other compounds. Photo Disinfection — Multiple wavelengths and high intensity UV disinfect pathogens more effectively than standard UV germicidal. Puralytics, an emerging leader in advanced water purification technology, announced it has been selected as a finalist in the first Imagine H2O prize. This year’s prize focuses on water efficiency, and Puralytics is able to remove contaminants from water without water loss and without generating a waste stream, which is common with other technologies. Imagine H2O is a non-profit organization founded in 2007 by a team of leading venture capital firms and financiers, water technology leaders and academics from Harvard Business School. The Imagine H2O Prize Competition highlights new technology that can address critical water challenges. 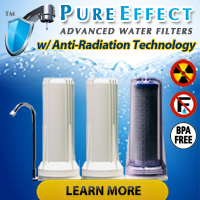 Puralytics was selected as a finalist because of their unique, chemical-free purification capability, and water savings of thousands of gallons per day. Puralytics has developed a new photo purification technology for water which uses precise wavelength LEDs in conjunction with a fixed photocatalyst to effectively remove organic compounds, heavy metals, and pathogens from water. For more information on the Puralytics technology and products, please visit: www.puralytics.com. The Shield 500 is available for industrial and commercial applications, and the sunlight powered SolarBag for developing world and disaster relief applications will be available in early 2010. Puralytics is an early stage company in Beaverton, Oregon, developing water purification products that effectively remove all of the emerging contaminants such as petrochemicals and pharmaceuticals, eliminate heavy metals like arsenic, lead, and mercury, and provide disinfection of bacteria, viruses, and other pathogens. These products have wide applicability for ultrapure and laboratory processes, well water purification, waste and grey water processing, and remote drinking water purification. Puralytics was also chosen by The Artemis Project as a Top 50 Global Water Technology Company competition winner, announced on Earth Day 2009. So you may now wonder what exactly this company has created that has gotten them all this attention. 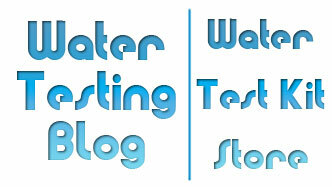 Stay tuned for future Water Testing Blog entries on the topic of Puralytics Water Treatment Devices. « Iron in Water a Problem?